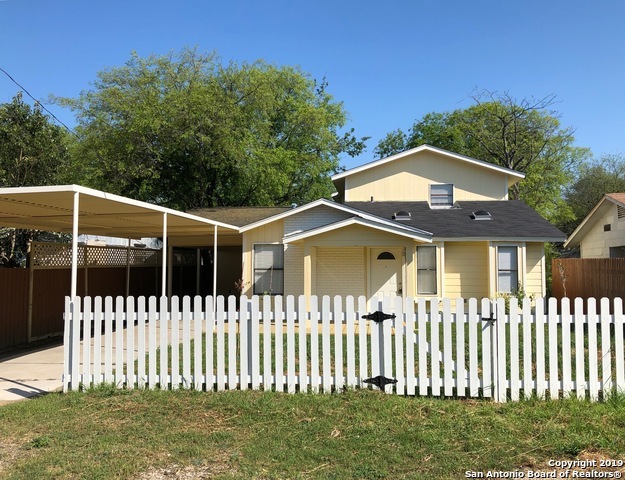 All MAGNOLIA FIG GARDENS homes currently listed for sale in San Antonio as of 04/26/2019 are shown below. You can change the search criteria at any time by pressing the 'Change Search' button below. "W/Full-price offer, Seller will pay $4,500. of Buyers Closing Costs! 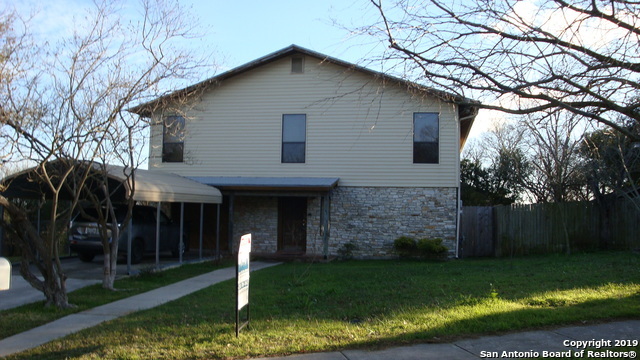 Located on Cul-de-sac - 1st Level of Home has 2 Bdrms, Full-Bath, Laundry, Kitchen Open to Dining & Living Area, Huge Covered Patio (920 sq. ft.) - 2nd Floor Kitchen Open to Dining & Living Area, Large Master w/Full Bath - Huge Balcony Deck on 2 Sides of Home (776 sq. ft.) w/ Awesome View of the Tower of the Americas. Downstairs Could be Used as Rental or for Extended Family! Don't Miss the Opportunity to Make this Unique Prop"
"Here is an amazing property you can't miss out on! This home has a versatile floor plan with separate living quarters featuring separate entry, a large bedroom, full bathroom, kitchen & laundry room. This home has beautiful curb appeal, white picket fence, new front deck, newer roof. Large living room, kitchen, dining area, full bathroom and a secondary bedroom downstairs. Two bedrooms upstairs with a full bathroom, vaulted ceilings. Covered parking for 3-4 cars. Large backyard. Come see this un"
"Custom tile work and ceramic floors throughout set this home apart. It is a recent renovation with updated fixtures, ceiling fans in every room and a grand front porch. The master bedroom is large with room for seating. Fruit trees adorn the beautiful front yard, while the large back yard boasts a covered patio and spacious workshop with electricity. Come visit this one of a kind beauty to see for yourself all it has to offer." "fixxer upper home in great location close to St. Marys Univeristy"